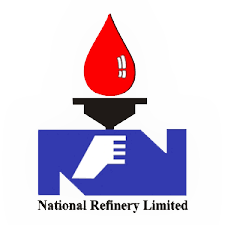 NRL maintains a port terminal installation located at Keamari oils peers about 18 km from the Refinery premises. The Keamari Terminal is connected with the main Refinery through pipelines. Very large Crude Oil storage tanks at Keamari Terminal receive imported Crude from the oil tankers, which is then transferred to the Refinery through pipeline. Huge tankages are available for export of Naphtha, which is also handled at Keamari Terminal.